A lottery win offers the chance to live out some dreams which may have lain dormant for some time. For some UK lottery winners that takes the form of a music-based fantasy which they finally have the opportunity to fulfil. We are going to take a look at some unusual incidences of when music-loving lottery winners got to live out their dreams. One of the biggest British lottery winners of all time also happens to be one of the biggest music lovers on our list. Adrian Bayford and his wife Gillian were fortunate enough to bag a massive £148 million jackpot back in 2012, allowing them to indulge in all sorts of fanciful purchases. 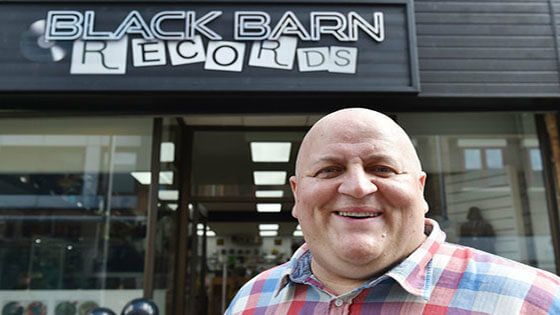 Music-fan Adrian used some of the money to open a music and movie memorabilia store in Cambridge. 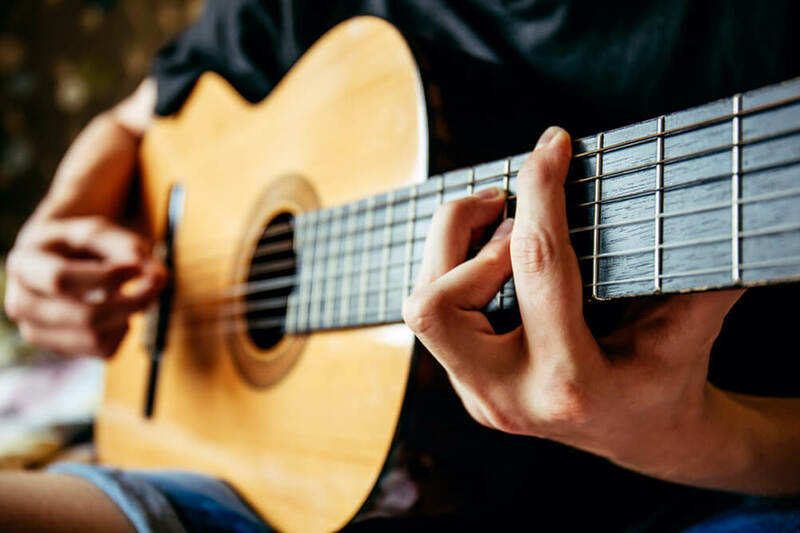 Having previously run a small music shop in Haverhill, Adrian thought that the new store would be a way to further explore his passion for music. Among the most valuable items on sale was a Beatles record signed by John Lennon just a couple of weeks before his death. Adrian’s interest in music doesn’t end there. He also became executive producer on an album by British rock band Last Great Dreamers. And when the Cambridge Rock Festival was almost cancelled in 2017, Bayford stepped in to save the day as he allowed the festival to go ahead in his (very) spacious back yard. When he first won the money Adrian said that it was his ambition to get the original Guns ‘n Roses line-up back together again, although to date he hasn’t managed to pull off that particular trick. He does have a signed G’n’R guitar valued at £3,000, although that one is kept at home and is not for sale in his store! Have you ever been in a band, maybe at school or college, and thought that you were good enough to hit the big time if only you’d gotten the breaks? That is certainly how Roger Griffiths felt about his university band when the 34-year-old dad won £1.8 million from the lottery. To be fair, his band ‘FMB’ were the subjects of a Channel 4 documentary called ‘The Next Big Thing’, and they even had a slot at the Reading festival back in the early nineties, so they did have some form. Roger used £25,000 from his winnings to get the band back together and release their most popular song as a single with accompanying video. Unfortunately, as only 600 copies ended up being sold he was not able to recoup his investment. The property crash did for the rest of his jackpot win, meaning that it was back to the drawing-board for the former IT manager. Vivian Nicholson and her husband won the football pools top prize of £152,300 back in 1961, the equivalent of around £3 million today. She became famous by promising to “spend, spend, spend!”, and stayed true to her word over the years that followed, going broke (for the first time) in 1970. Vivian lived an increasingly chaotic life, one that was memorialised by the stage musical ‘Spend, Spend, Spend!’ which ran in the West End from 1998. Ironically, her share of the money from this musical allowed her to stretch out her consumerist lifestyle just a little bit longer. As an extra piece of musical trivia for you, a photo of Vivian was used on the cover of The Smiths famous ‘Heaven Knows I’m Miserable Now’ single. As you can see from the tales of our three lottery winners, turning dreams into reality is not always plain sailing. Sometimes it may just be a better idea to let go of some dreams, because it’s true what they say: money can’t buy everything! However, if you think that there are some dreams which a lottery win could help you to achieve, then why not try your luck betting on a new lottery? 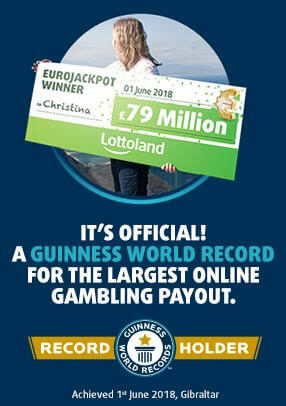 With Lottoland you get better value than at your local shop, not to mention great extra features like Double Jackpot and NumberShield. And if your numbers come up, you'll be singing a very happy tune!